Team rider designed, tested and ridden to PKRA victory by 8x World Champion Gisela Pulido the GP v2 delivers competition winning performance. The patented Reflex curved LE provides amazing unhooked feel with an endless sweet spot. Extending the canopy area at the center strut gives you extra lift for jumping and effortless drive for staying upwind in the competition zone. The new Double Core RS canopy fabric provides increased strength and reduced weight for tighter, more precise handling. The Twin-Tune attachment system offers multiple front and rear line tuning options so you can dial in any combination of handling and performance to effortlessly switch between new school and wakestyle settings in seconds, allowing you to reinvent your style to blow away the competition at a moment’s notice. With no bridles or pulleys the GP gives you the fastest, most direct connection between you and your next trick. Combine it with our GP -Bar v2 for an unfair advantage in your next heat. Every molded part of the GP-Bar v2 bar has been re-engineered so you can push yourself harder than you thought possible. The Pro-Cuff+ surpasses current international testing standards and delivers simple, one handed safety activation. Even with flying line loads of 250kg the release pressure for the Pro-Cuff+ quick release never exceeds 5kg. The innovative Sacrifice Insert System helps eliminate center line wear. Two low friction, replaceable, Delrin inserts line the center of the bar, helping to ensure you never have to replace another depower line. The under bar swivel has been improved with added drainage vents and low profile twist-tabs making it smoother to turn and easier to untwist your lines no matter how many loops you’ve thrown. The GP-Bar v2 uses our 8mm depower line, it's the thickest, strongest and most durable center line you’ve ever had. Low stretch flying lines are 700lb rated, color coded for easy set-up and proven to offer incredible durability. The GP-Bar v2 is the toughest and most practical bar we’ve ever built; it’s the unfair advantage we all need. 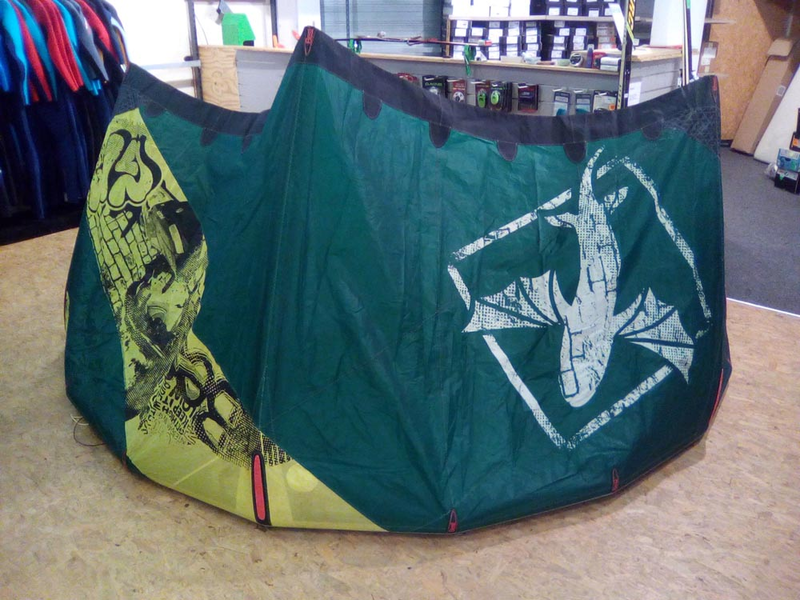 Kiteboarding on the GP is easier than any other C kites on the market. It can relaunch by pulling the outside line just like a hybrid, and it feels so light and nimble in the sky. With handle pass tricks, the GP slacks the lines really nicely when you leave the water for a wakestyle trick. 5 line is the standard for C kites to make them work properly, but that extra line is a hassle. The gangster hands to show the kite size are awful. The GP is a really good C kite. It is easy enough to ride as your first C kite, and you will never be held back.